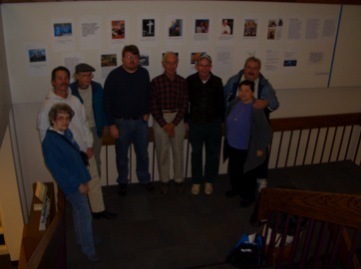 << December 1, 2007 – Our first project as a group after we formed in 2007 was putting up a historic display in the “Free Speech” area of the Mesa County Public Library. The Library Assigned WCAF the month of December, 2007 to use the space. Without even bothering to find out we got this space at this particular time, the local paper, the Grand Junction Daily Sentinel, wrote an editorial accusing WCAF of trying to “create a full-blown, secular-religious ruckus just as locals are getting into the Christmas spirit.” The display explained the what atheism is, and why America was not, as so many believe, founded as “a Christian nation.” The display garnered significant local media attention, and helped initiate a local dialogue about peoples’ mistaken beliefs about atheists and atheism. To download a free PDF copy of our display, click here—> WCA Library Display-FINAL. 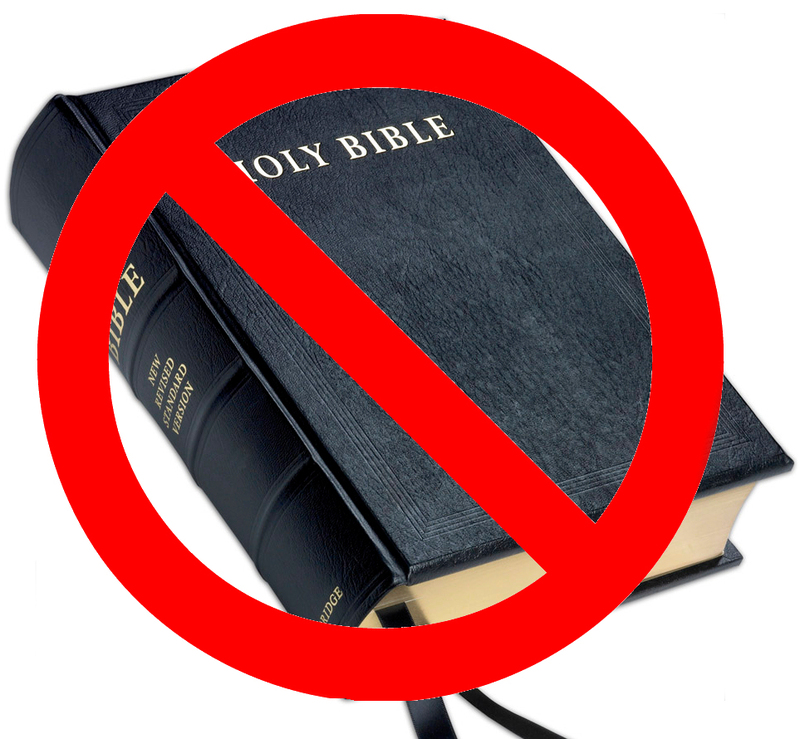 Commission and the public about why “invocations” (sectarian prayers) at City and County meetings, as currently practiced, violated the Establishment clause of the U.S. Constitution. Dan Shaver, the City Attorney, agreed the City’s practice was outside the bounds of the U.S. Constitution, and we set about working to change the practice. This is an ongoing project in which we have made significant progress in reducing the frequency of sectarian prayers at taxpayer-funded public meetings, but the prayers persist. To see a log of the frequency with which City Council has hosted Christian prayers at their public meetings, even after their own attorney made them aware that doing so violated the U.S. Constitution, see our GJCity invocation log. We continue to monitor the City’s performance and urge them to be neutral in matters of religion. 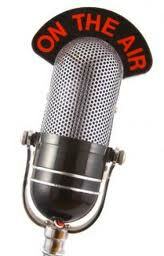 << Monday, June 30, 2008 — three WCAF members appeared on a noon public affairs radio show on Grand Junction’s local public access radio station, KAFM 88.1 FM. They discussed what atheism is, what atheists believe, who atheists are, the invocation matter and how to get in touch with us. 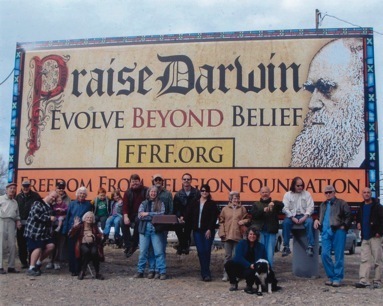 >> February, 2009 – WCAF worked with the Freedom From Religion Foundation to put up a “Praise Darwin” billboard to celebrate Charles Darwin’s birthday. 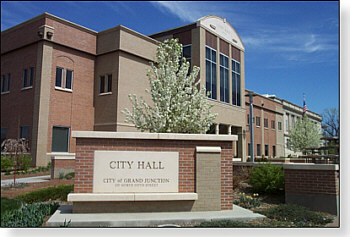 The board was located on Orchard Mesa at Unaweep Ave., where Highway 50 curves to come into Grand Junction, across from Duck Pond Park. 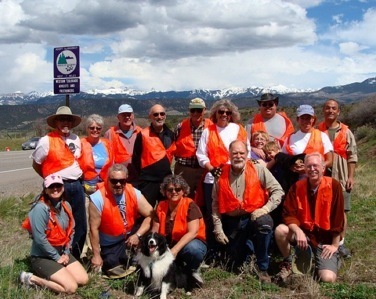 >> May, 2009 – WCAF Adopt-A-Road Cleanup — In 2009, WCAF members adopted a beautiful, two-mile stretch of road on Dallas Divide, just outside of Ridgway, Colorado. Views from the road were spectacular, the weather was perfect and the trash was top-notch. One person even found some cash! 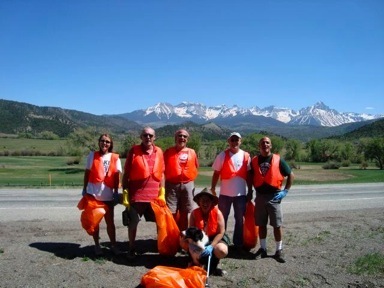 The photo at right was taken during our first cleanup, which we followed with a delicious dinner in Ridgway and a soak in the Ouray Hot Springs Pool. 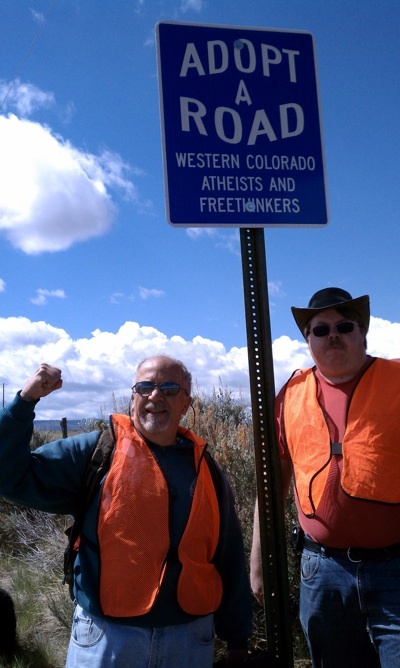 In September 2010, Western Colorado Atheists and Freethinkers made local history, with the first-ever atheist booth at the Grand Junction Farmers Market on Main Street. The helped raise awareness of our organization, and helped us meet new atheists, agnostic, humanist and freethinker friends. We got such a good response that we started doing it again each summer! people who wish to die. While they do not encourage anyone to end their life and don’t provide the means to do so, they do provide counseling. “Support and we are there when the person chooses to hasten their death,” said Girsh. 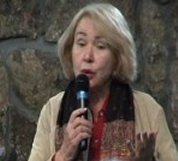 Girsh believes people suffering from a fatal or irreversible illness have a basic human right to end their lives, “People should be able to die with their loved ones present, gently, peacefully, and quickly if that’s their choice.” There had never been a public talk like this before in western Colorado. Never. 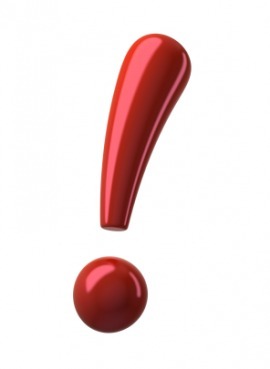 >> In January, 2011 Western Colorado Atheists and Freethinkers became an official 501(c)3 nonprofit organization. Donations to the group are now tax deductible! << In August, 2011, WCAF adopted a mile-long stretch of South 16 1/2 Road on Glade Park, 16 miles west of downtown Grand Junction up above the Colorado National Monument. It’s located about a mile north of the Glade Park Store. 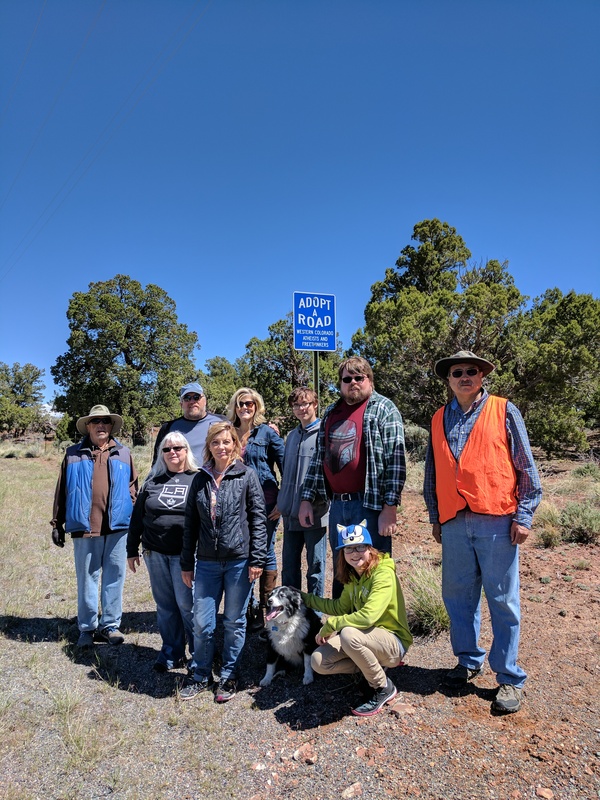 Mesa County put up two signs — one at either end of the stretch — signifying our efforts. Our section of 16 1/2 Road is adjacent to the stretch cleaned up by the Glade Park Bible Church. 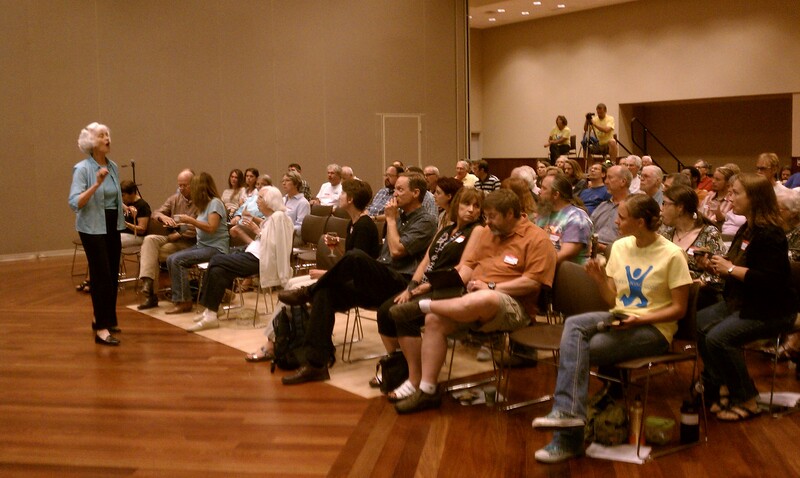 The first annual Colorado Secular Conference was held in Grand Junction in July, 2012. WCAF was a sponsor. 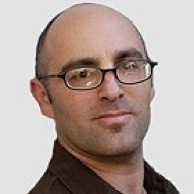 >> In July, 2012, WCAF and Humanists Doing Good in Fruita hosted Colorado’s first state-wide Colorado Secular Conference at Colorado Mesa University right here in Grand Junction. It was a smashing success, with great attendance. People even came from other states to attend. More encouraging evidence of secular progress on Colorado’s western slope! << In 2012, WCAF, working with the Unitarian Universalist Congregation, hosted a talk by noted Sociology Professor Phil Zuckerman, who discussed his new Book, “Faith No More: Why People Reject Religion.” Dr. Zuckerman appeared in Grand Junction to speak about the recent increase of secularity in America, some of the reasons for this increase, and explain why individuals are leaving religion in greater numbers than ever before. The talk was FREE and open to the public the talk drew an audience of 73 people! 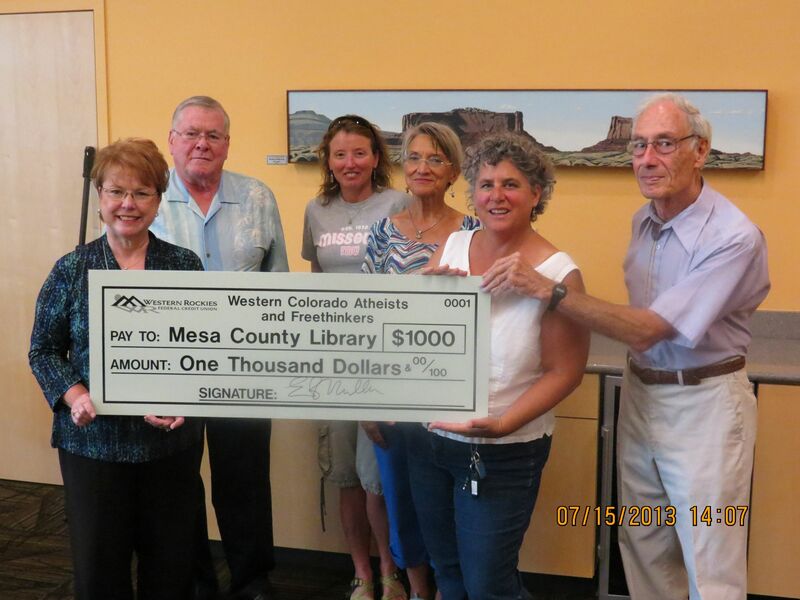 >In 2013, WCAF donated $1,000 to the Mesa County Public Library for their reconstruction project. The Central library re-opened in June, 2013 in a beautiful brand-new building at 5th St. and Grand Ave.
<< For Easter,2014, we put up the graphic at left on a digital billboard located on Business Loop I-70, at the west entrance to Grand Junction, right in front of Hobby Lobby and Chick-Fil-A. The board got people so excited, we got more than enough donations to cover the cost of the board, so we used the excess donations to extend the length of time the board was up. A big win for separation of church and state! In November, 2015 WCAF worked with the Freedom From Religion Foundation to help a group of anonymous nursing students at Colorado Mesa University to end once and for all the religious practice of a mandatory hand-out of Gideon Bibles to nursing grads at their pinning ceremony. CMU President Tim Foster announced he was going to end the practice for good on November 18, 2015. 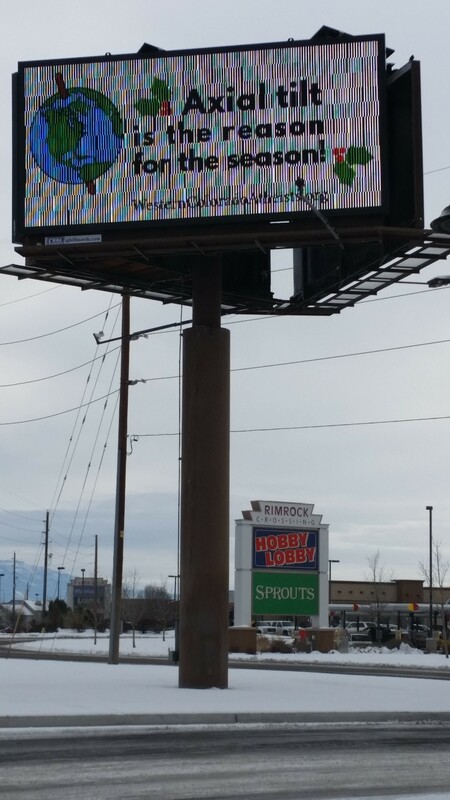 December, 2015 – We put up our “Axial tilt is the reason for the season” billboard, which generated widespread coverage in media outlets like the Patheos “Friendly Atheist” blog, the Colorado Independent to our local NBC affiliate, KKCO 11 News. A full breakfast for $5.00 that benefits the Glade Park Community, and then cleaning up our 1 mile stretch on Glade Park, adjacent to the Glade Park Bible Church’s stretch. After a few years of this, they now are okay with us putting our garbage bags alongside theirs for the County to pick up. Now, that’s progress here in western Colorado!